"The World Crisis is at once an outstandingly readable history of the First World War -- the seminal drama of modern times -- and an eyewitness account, especially of its opening years. Whether as a statesman or an author, Churchill was a giant; and The World Crisis towers over most other books about the Great War." 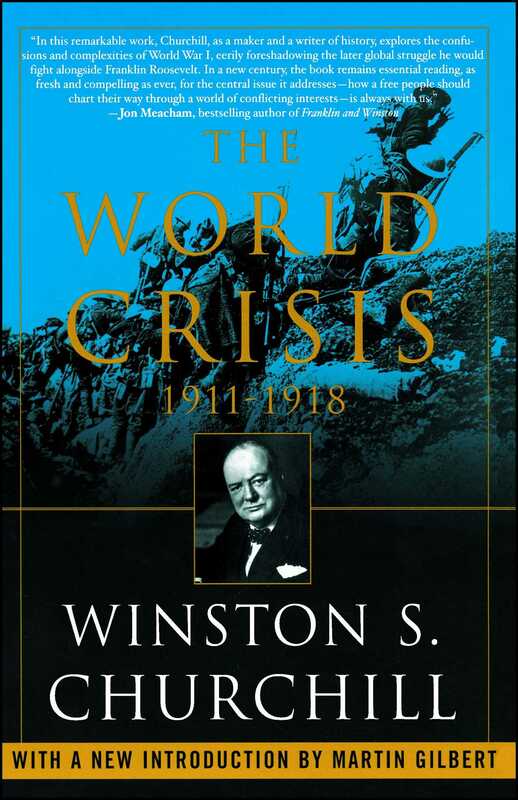 "Winston Churchill's personality suffuses The World Crisis, not only in its arguments but also in its masterful prose. The book, however, aspires to be even more than that -- a general history of the war that shaped the twentieth century as well as the attitudes of one of the century's most powerful personalities." "In this remarkable work, Churchill, as a maker and a writer of history, explores the confusions and complexities of World War I, eerily foreshadowing the later global struggle he would fight alongside Franklin Roosevelt. In a new century, the book remains essential reading, as fresh and compelling as ever, for the central issue it addresses -- how a free people should chart their way through a world of conflicting interests -- is always with us."